We thank all of the participants for coming....it was once again a great course. We worked on the very micro level details. We talked over limited penetration, self extract and other topics which are relevant to the entry phase itself. we pushed the guys to their limits and worked untill the little hours of the night to ensure, that each team memeber stand in the trainning standards. The guys were great. different nationalities, different languages & mentality - but one strong team. 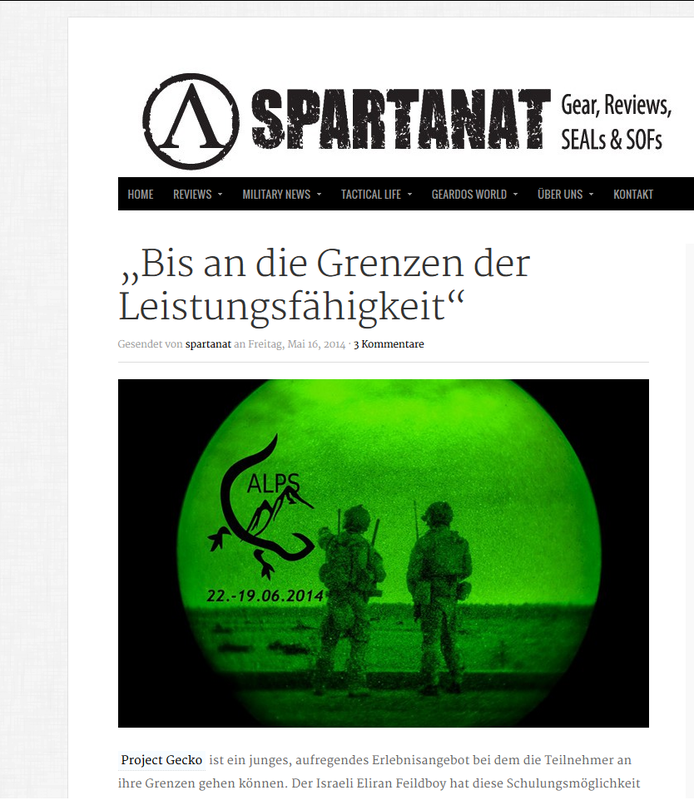 Due to the massive demand from the area of Munich - PG will perform a special Basic CQB course in one of the best training grounds in Southern Germany. Guys check out the new issue (May 2015) from PMCI magazine where you could find a very detailed interview with Eli, founder of Project Gecko. Special thanks and recognition, to the guys at PMC for making this possible ! The course was awesome - as always. But what was more interesting is the bound the course created between the different individuals who came from different backgrounds. The atmosphere, mindset and discipline was quite high. We had to start from the very basic. We went through frame work, individual basics and continued straight into the center fed problems. We talked over scanning, communication & the difference between read to none read systems. While the progress was a bit slow - the participants - (with 4 different nationalities,mentalities & languages) - gave really 100%, and even more than that. We continued with training topics we found to be weak, and we continued all the way into the night untill 03:00, until I felt we are solid. On Saturday night the guys performed with my guidance a DA simulation which included infiltration, transition from rural to urban environment with great focus over communication & ROE. The drill was quite awesome and mentally demanding to some of the guys. So in short - if you were not there you might want to be there next time - because you missed hell of a course. Thank you guys for all of the support, it was great and definitely an honor. This year Project Gecko will perform another two expeditions to the Alps.The first expedition will leave on the 18th of June, and the second on 06th of August. The team of the June expedition is nearly full and booked out - so act fast and join the team ! Note - To maintain better communication with our expedition participants, each expedition team has a FB group,where the participants (confirmed ones) can have a direct contact to Project gecko. Questions, idea, etc...we are there for you ! Team status - 3 seats left. Team status - 8 seats left. In few hours (21:00 European time) we will launch our coop with Our friends from TYR GROUP LLC. The coop between TYR & Project Gecko consists of a 5 Days Tactical Tracker course, at Koblenz Germany. Full program & program will be released soon. John Hurth has been a tracker for over 30 years. He is a retired U.S. Army Special Forces Non-Commissioned Officer with over 23 years of active duty military experience. John served with 1st Special Forces Group at Ft. Lewis, WA where he participated in multiple deployments overseas to include two combat tours in support of the Global War on Terror. John also served with the Special Operations Training Detachment and Special Operations Plans at the Joint Readiness Training Center (JRTC) in Ft. Polk, LA. Some of John’s duties were to plan future Special Operations training as well as coach, teach and mentor Special Operations units undergoing training at JRTC. I decided to team up with John as i am convinced, that John represents the true meaning of the words 'Tracker' & 'instructor'. His passion,knowledge and approach is unique, and so is your chance to learn from an expert. Stand by for more information in few hours. Project Gecko is proud to announce a cooperation with TYR GROUP LLC lead by my friend John Hurth. 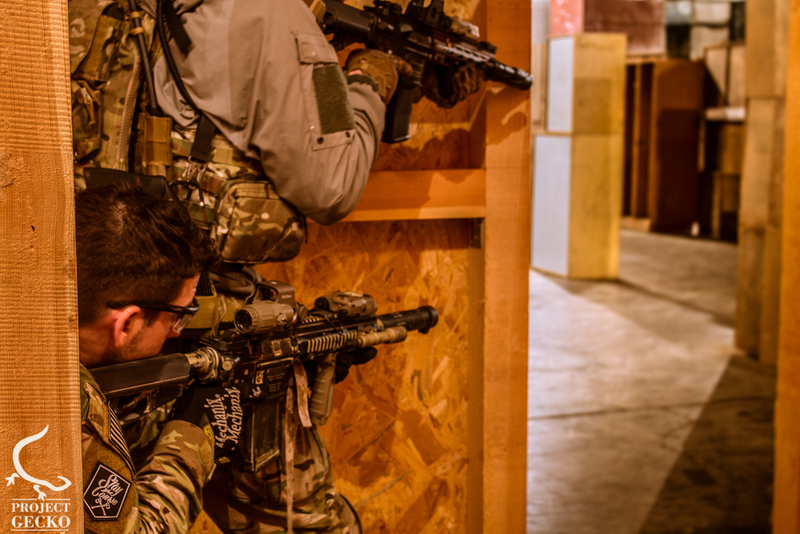 Project Gecko together with TYR GROUP LLC will give the opportunity for Civilians, Military, LEOs or Hunters to learn the true art of tactical tracking based on John's extended experience. John Hurth is not going to teach you a bunch of stuff he learned at some school. He was in the field and he lives the fields. 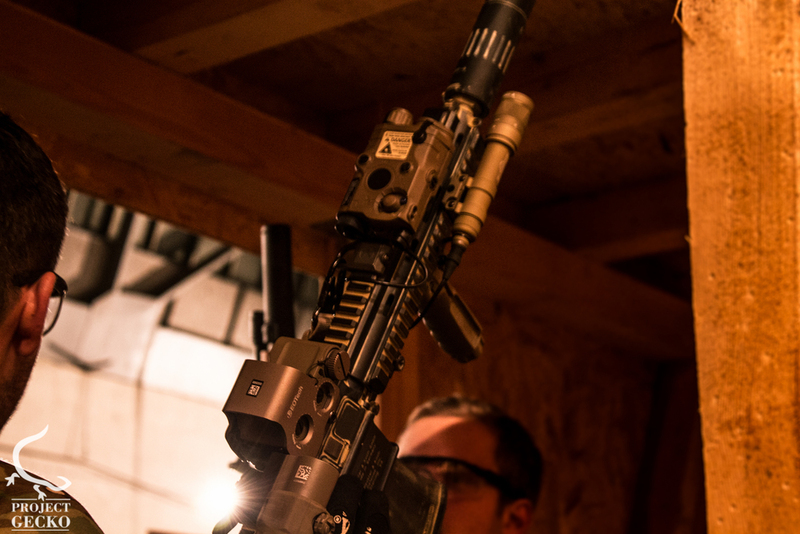 John is a former Ranger & a US ODA special forces & above all - a true passionate instructor. To me personally, as the founder of Project Gecko, it is vital and most important to support allied veterans. I am most certain, that this cooperation between TYR & PG will result in a great tracking course in such a detail for the first time in Europe. The courses in Europe will be covered exclusively by Airsoft &Military News Blog ACE so you can expect some awesome eye candies. During our previous level 2 course, our participants had the chance to receive a closer insight into the reality of engagement, communication & other topics. We went through the very little details of teamwork & communication, problems & solutions. The average level of the participants was good & like minded. Whether it was a lesson, practical practice or a nearly 3 hours simulation until the little hours of the night, the participants gave 100%. Given the recent situations, and act of cowards in France and across the world, we certainly believe that a correct understanding of human behavior, tactical disadvantages, foreground & background & situational awareness could & will save not only your life, but those around you. I certainly hope, that our participants who came from different types of backgrounds, could utilize the knowledge & mindset they gained into a one and only achievement – Saving lives. Project Gecko 2014 video summary ! It has been a wild ride for us. What started as a small idea & training concept grew up quickly and got us to do things, which looking back, were truly wild. In the positive way of course. 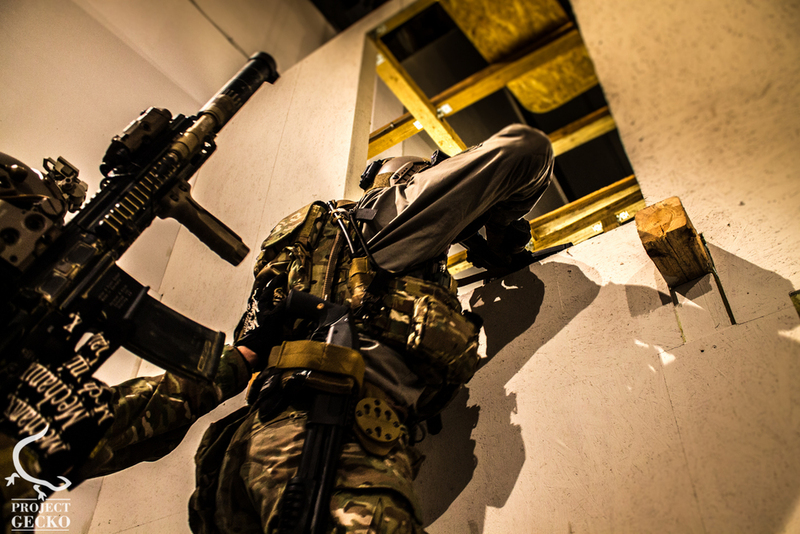 NEW CQB COURSES & SEMINARS DATES ! Project Gecko in full collaboration with SIMGUN ! Project Gecko is happy to announce of another great collaboration with SIMGUN ! More information regarding this anticipated cooperation will soon to be released....stay tuned. Did you know that in June we will be at the Alps for 4 days ? 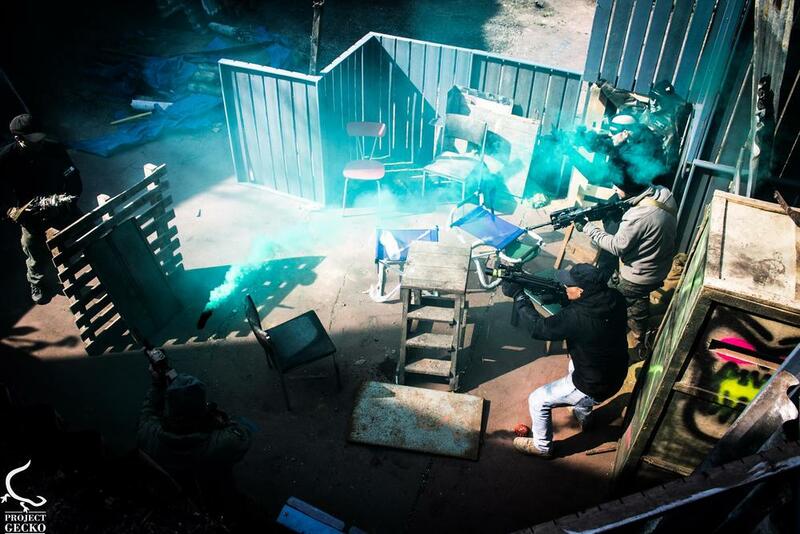 Or that we will kick in' doors in our CQB course in the end of this month? You want to be part something that´s never been done before? Then follow the booking link ! Project Gecko Seminar II - Official Programm release. Green side basics & BW preperation. Below you will find the complete content PDF flyer of Seminar 2. Our new Facebook page is online ! For more up to date information , pictures & videos make sure you like & share our new Facebook page.